It’s been cold and wet and dreary all day in southeast Tennessee, a perfect Sunday to sit around and watch movies. So our son and I watched Black Panther, went out to lunch, went to see The Lego Movie 2*, which was very tedious, and then he built a sofa fort and watched Thor: Ragnarok again. That movie’s another example of what I was talking about in the previous entry about some of these Marvel films not holding up the second time around, which is why I didn’t write a post about it. So an episode of The Champions is naturally going to be the least of the four in the eyes of a seven year-old, but he watched it with the same quiet appreciation and consideration that he’s given other shows in this genre, which encourages me. There aren’t many big set pieces in this story other than a great fight scene about halfway through. In the convoluted way of villains in this kind of program, Peter Wyngarde plays a baddie who surgically implants a tiny device in his target’s ear to convince him that there’s an invisible man watching his every move. 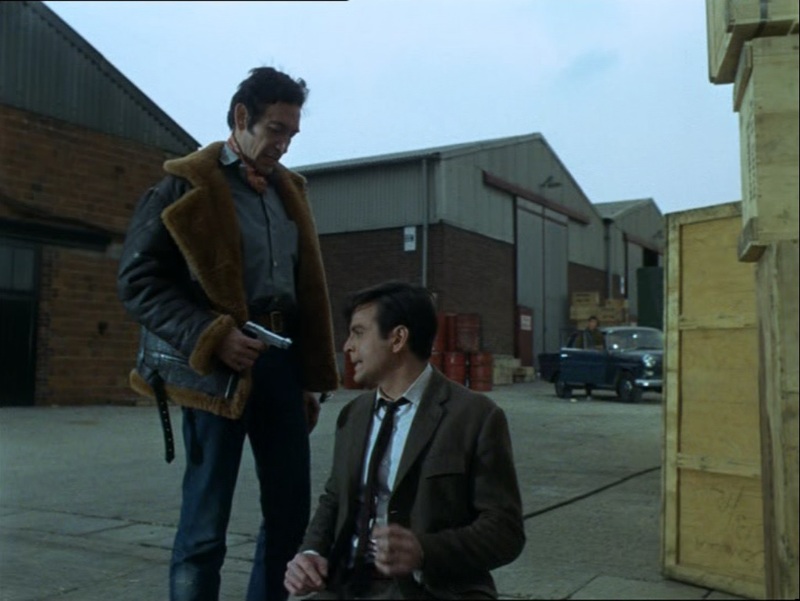 Writer Donald James had to bluff past a lot of coincidences in the backstory for this plot to work, but honestly the only reason the plot works at all is because Peter Wyngarde is playing the villain. The heroes seem almost superfluous. And speaking of superfluous… William Gaunt and Alexandra Bastedo don’t have very much to do in this story. One reason these ITC agent shows had teams of three was so they could film multiple episodes almost on top of each other and keep costs down. It still seems kind of odd that they’d show one with Stuart Damon taking about 80% of the screen time as just the second episode. *In an effort to keep things a little interesting, I did suggest that we see this movie another day and go see the one-off screening of a new animated film from Japan with the remarkable name of I Want to Eat Your Pancreas instead. Of course he picked Lego, but I tried.